The Chartered Institute of Forensic and Investigative Auditors of Nigeria (CIFIAN) has renewed its plea to the leadership of the House of Representatives to ensure the Bill establishing CIFIAN was passed before the end of 8th assembly. Dr. Victoria Enape, Pro-tem President, CIFIAN, and other council members made the call at the induction of about 100 new members into the circle of forensic auditors. She said that the House of Representatives had between now and June to tell Nigerians that it abhors corruption by passing the CIFIAN bill for possible concurrence after it was passed by the Senate on July 5, 2018. According to her, the passage of the bill by the House of Reps will also signify that the legislators are in support of President Buhari’s fight against corruption. “We are surprised and worried about the delay in the House of Representatives due to the activities of enemies of the Bill which is orchestrated by greediness and parochial interest of group of persons that has no interest of Nigeria at heart. “We are calling on the House of Reps to disregard the antics of the enemies of Nigeria who have continued to prevent the country from experiencing deliverance from fraud, corruption and cyber-crimes which have dwarfed development over the years. “This is rather unfortunate, and all antics by the enemies need to be disregarded by the House of Representatives to enable possible concurrence to the Bill without further delay based on its merits, as posterity will remember them,” Enape said. Enape who noted that CIFIAN was not another accounting body just as some people have insinuated urged the new members of the institute to work with other members to ensure that fraud was prevented in the country. Prof. Oladipupo Adeshina, a fellow of the institute said the only way to fight financial crime was to allow CIFIAN to come on-board through the necessary legislative backing. This, he said would enable the country join other league of nations in the fight against financial crime. 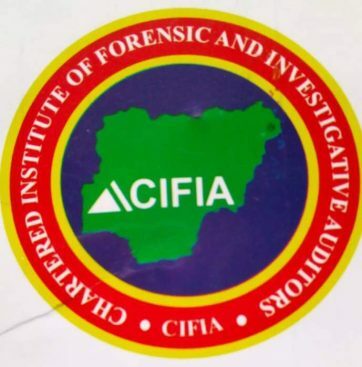 Dr Jerome Agi, another fellow of the institute and a council member, urge Nigerians to take advantage of the CIFIAN training to become a forensic auditor as the world has now shifted attention to using forensic method to tackle fraud. Agi said: “Fighting corruption is the number one priority of President Muhammadu Buhari because corruption has eaten deep into the fabrics of our nation and it can only be halted when a body like CIFIAN is given the legitimate rights and powers to carry out reforms. “This is why CIFIAN is different from other accounting bodies because we go beyond looking at the books; we go to look for corruption and cyber-crimes where ever they are hiding. He urged the legislators not to be cajoled into believing that the Bill would be used against them or against anybody other than those involved in financial crime. Another fellow of the institute, Dr. Paul Mannixs noted that one cannot continue to do the same thing all the time and expect new result. “It is expedient that government do something that will bring a change in the fight against corruption and CIFIAN direction is the right direction. “Nobody is a custodian of knowledge; there is nobody who can make it by himself, so government and private institution must collaborate for one goal – how to make the country better. “Therefore, no organisation or individual should be an obstacle to that right direction which is in the common interest of the society,” Mannixs said.